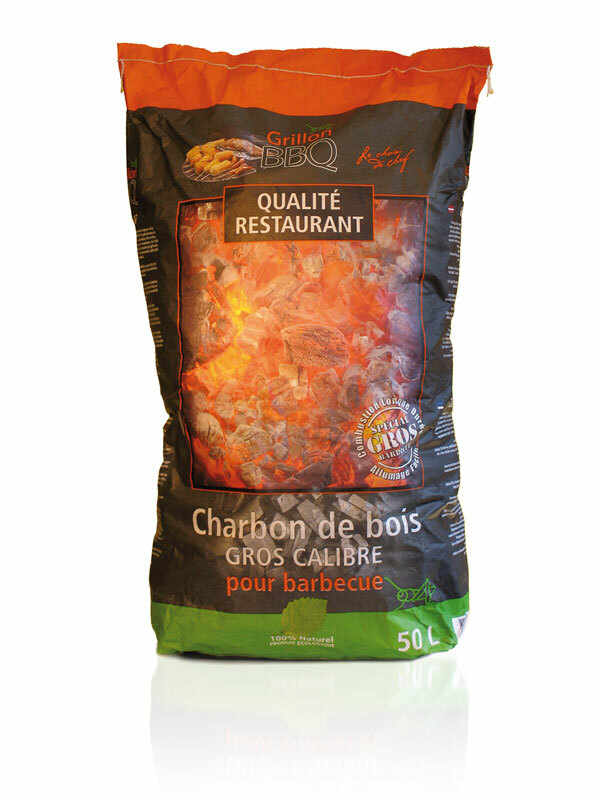 This very large 50 Liter bag containing extra large charcoals is targeted at professional chefs. The black charcoal background is contrasted by the evenly glowing burning charcoals.The Grillon brandmark colours of orange, black and green are carried through the range of pack designs. To protect the charcoal from absorbing moisture, the bag has three layers: brown paper inside, thin plastic film and white paper outside. Printing was with 7 colours, 2 special colours for strong orange and green and a special black for the background.